Mouser Electronics announces the newest issue of its Methods technology and solutions e-zine focusing Smarter Edge Computing for IoT. The third issue of volume two examines the evolution of traditional edge devices to smarter edge devices that are capable of processing and decision making — tasks that are currently done in the cloud. In the newest issue, experts thoroughly examine how and why industries are working toward a smarter edge, making the case for moving compute tasks directly onto devices and turning the Internet of Things hierarchy into an end-to-end solutions platform. It also includes exclusive content on device security, as well as an exploration of the implications of edge computing on network design. Jason Shepherd, CTO of IoT and Edge Computing for Dell Technologies, offers a valuable foreword in which he defines edge computing and explains its importance in accommodating our growing data and technological needs. Deeper into the issue, experts discuss hardware design to support artificial intelligence (AI) at the edge and examine the role edge computing might have in ending connectivity wars. 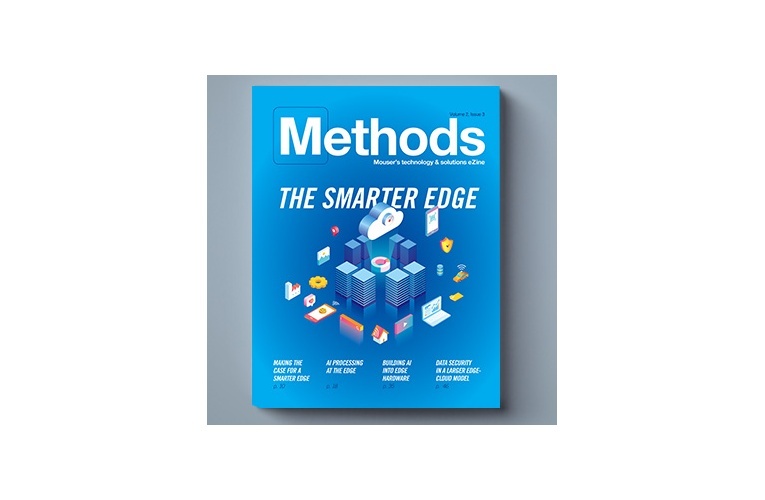 To sign up to read all issues of Methods, including the newest issue on smarter edge computing, go to eng.info.mouser.com/methods-ezine.